Meet “They” and “Somebody”, YOU! Do you know “They” and “Somebody”? The ones we mention whenever a need comes up and the response is, “they can take care of it!” or “somebody will do it.” How often do we walk through our neighborhoods here in The Bronx or a public park and see trash around only to make a comment about how “they” should really clean up the place or “somebody should fix it”. I’d like you to meet a Bronxite who took on the nicknames “they” and “somebody” to become an agent of positive change in her neighborhood and throughout The Bronx, her name is, Nilka Martell. Nilka Martell founder of G.I.V.E. Nilka is the founder of G.I.V.E. 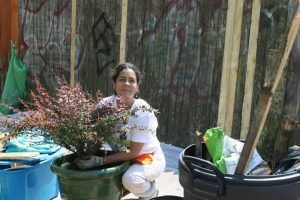 (Getting Involved, Virgina Avenue Efforts), a Bronx organization that began with one block’s beautification project and has grown into a movement to inspire the community to take ownership of The Bronx. Speaking with Nilka you feel her passion for The Bronx, her culture, and her drive to empower those around her. Her efforts are an example that The Bronx lifestyle is one of community leadership and pride. Nilka’s vision of her future didn’t always include G.I.V.E. A life long resident of The Bronx, she found herself unemployed contemplating her choices while also spending time as a volunteer cleaning NYC Parks. One morning, while sipping her coffee Nilka looked out her window to finally see what her neighborhood looked like. It was at this point that she made the decision that it was up to her to clean up her neighborhood. The place in The Bronx she has called home was completely out of order and it was not up to “they” or “somebody” to come fix it. Nilka recruited her two kids (teenagers actually) who had also been volunteering with her at parks, and they began by cleaning up the dead end street on Newbold and Virginia Avenue in The Bronx. In addition to her kids getting excited about taking on this project others took notice and began to lend a hand. Whether it was neighbors putting hands to plow, donating materials or providing home cooked food, everyone had something to offer. Support also came from City agencies such as NYC Parks Department and the NYC Department of Sanitation. Sure, we expect City agencies to keep the streets clean, but as Nilka often points out, we live here! 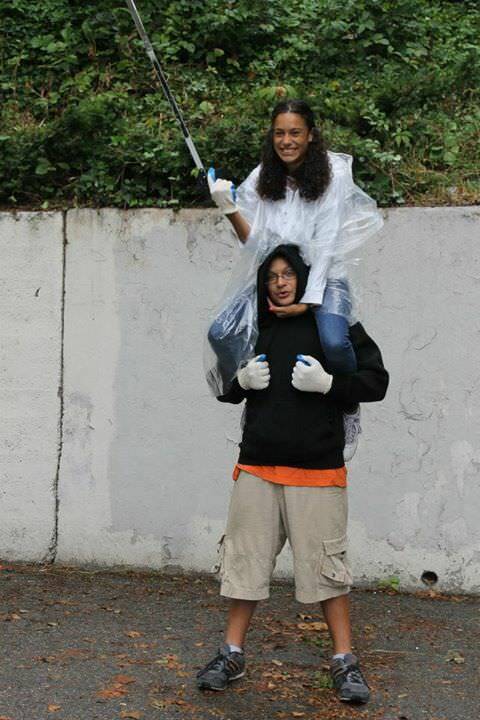 From this family affair of beautifying The Bronx, G.I.V.E. (Getting Involved, Virginia Efforts) was born on January 2012. Their first project as an organization was adopting ten trees and their work has continued all over The Bronx. Positive change is contagious and Nilka found a way to cause an outbreak. When G.I.V.E. 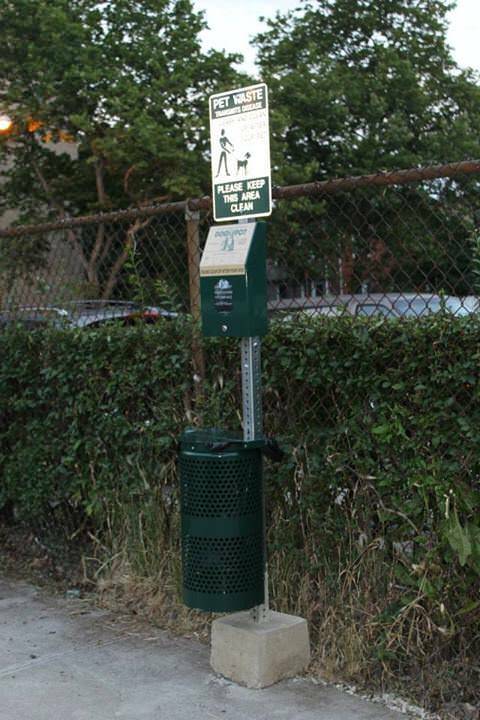 used grant money to purchase the dogi pot wastebaskets, a pet waste management system, they needed people to get involved. That’s when a neighbor, not even a dog owner, took a lead role in emptying the wastebasket and even the local C-Town allowed for the use of their waste bins to dispose the waste. Nilka herself puts her money into purchasing the bags to replenish the dogi pot. The involvement didn’t stop there, through G.I.V.E. the neighborhood bodega (grocery store) became part of “adopt a basket”, a NYC Department of Sanitation program where an entity takes responsibility of an existing litter basket to help prevent overflowing. You’ve probably heard the saying, it takes a village to raise a child; well, it takes a community to keep The Bronx thriving! No longer unemployed, Nilka has made G.I.V.E. an addition to her family considering she puts her time and money into it all year round. Today, G.I.V.E. has empowered over 200 volunteers, young and old, to take action throughout The Bronx. Volunteers learn about environmental issues affecting their community and are given the tools necessary to do something about it. Nilka noticed that her son’s involvement in G.I.V.E. has provided him with direction and she looks to empower other youth in the same manner. G.I.V.E. often partners with other organizations improving The Bronx. To Nilka (and G.I.V.E.) it is not about taking the spotlight, it’s about Getting Involved in The Bronx whether as lead organizers or participants, after all, We Live Here! For more on G.I.V.E., visit them on Facebook at www.facebook.com/GIVE.Inc. I have had the pleasure of knowing Nilka for most of the period she was forming and advancing G.I.V.E.. I’ve seen the work up close and marveled at the diversity of projects completed and participants involved.